Sony has hired a former official at the US Department of Homeland Security for the new post of chief information security officer, months after a massive hacking attack leaked information on 100 million user accounts on its games networks. 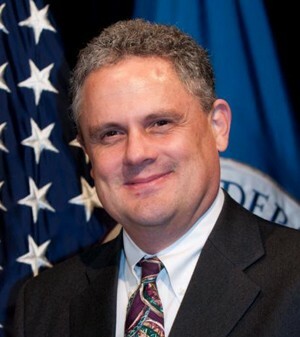 Philip Reitinger, formerly the director of Homeland Security's National Cyber Security Center, will join Sony in the newly created position of chief information security officer and a senior vice president. The new hire signals a heightened seriousness by Sony in the aftermath of an intrusion into its online videogame service earlier this year. The breach compromised the personal information of more than 100 million accounts from its online networks, including the possible loss of some credit card information. Sony said there have been no reports of any credit card data theft. Sony shut down the PlayStation Network and Qriocity streaming video and music network on April 20, keeping the services offline for nearly one month. It took until July 4 for the services to be fully restored globally. Nicole Seligman, a Sony executive vice president and the company's general counsel and corporate executive officer, will be Reitinger's boss.Reitinger has also worked for the Department of Defense and the Department of Justice and holds a law degree from Yale, Sony said.